PARIS — French presidential candidate Marine Le Pen told reporters on Friday that the country should ban Islamic hate preachers and close their mosques in light of the most recent terror attack in the nation. “The Islamist, Salafist ideology has no right to be in France and should be banned. 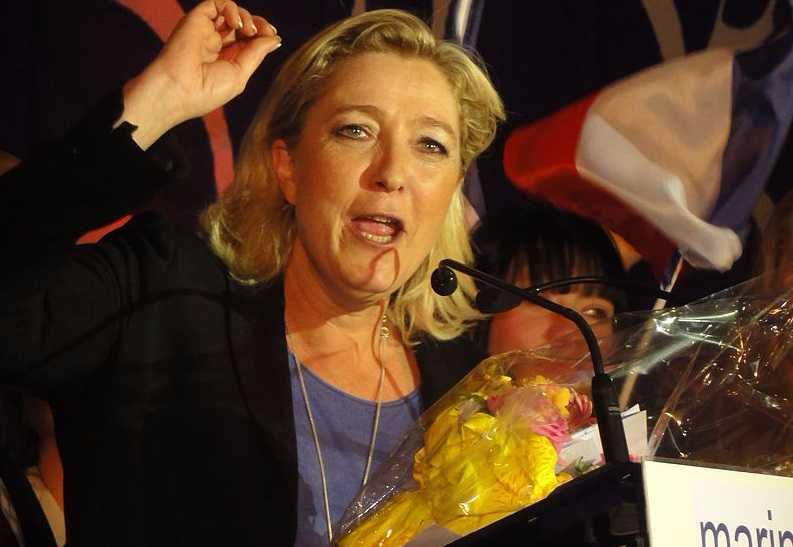 Preachers of hate should be expelled and their mosques closed,” Le Pen declared. On Thursday, Karim Cheurfi, 39, who had previously been convicted of attempted murder, opened fire on a police van with a Kalashnikov, killing officer Xavier Jugelé, 37. Police became involved in a shootout with Cheurfi, which resulted in the terrorist’s death. Two officers were injured during the confrontation. According to the Associated Press, Cheurfi carried a note in his pocket during the Paris attack that expressed support for ISIS. The terrorist organization has also claimed responsibility for the violence. President Francois Hollande condemned the shooting as a “cowardly killing,” advising that he was certain it was an act of terror. “We shall be of the utmost vigilance, especially in relation to the election,” he stated. She also recommended that Islamic hate preachers be deported and their mosques shut down. “This war is asymmetric and revolutionary. It is a war in which all the population, all the country is targeted. It is obviously a war we cannot lose,” Le Pen said. French Prime Minister Bernard Cazeneuve, however, criticized her statements, opining that she was needlessly causing fear and division.